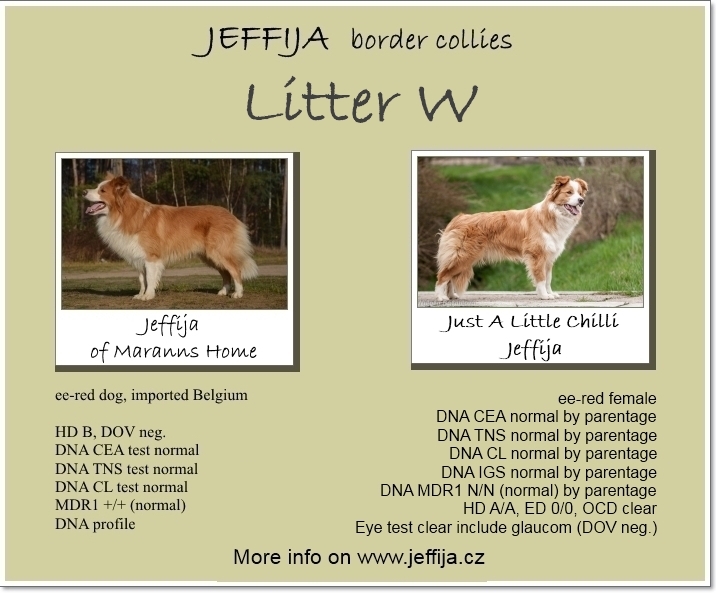 We are waiting puppies aroud 20.4.2019 if you are interested please write email on jeffija@seznam.cz puppies will be in colour ee red and black-white. 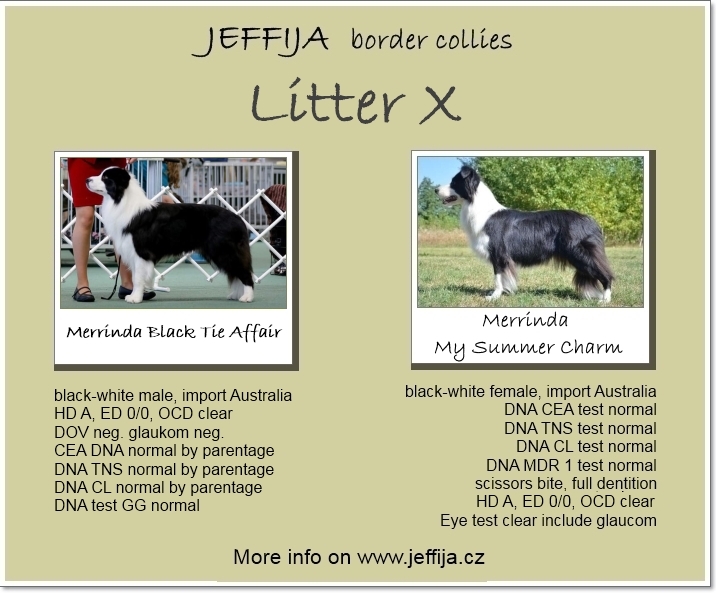 We also plan another litter in our kennel for the spring of 2019 (covering January and taking about May/June). we are waiting colours blue merle, ee red and black-white. However, if you are interested, you can contact us now.